If you watch the video of the low pass they made before landing, she tends to favor the right fuselage. As she's coming by she tends to slightly dip the right wing, consistent with the pic of her touching down on that side first. It could just be the winds, but it'll be interesting to see if that's something that continues. They modified the fifth engine position to hold the launch rail. 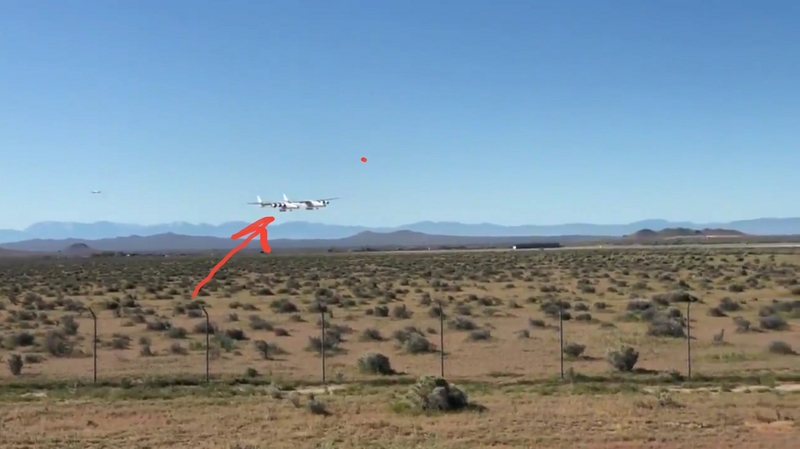 This the video of Strato Launch? You can kind of see it there. There's another video from the other side on Facebook. 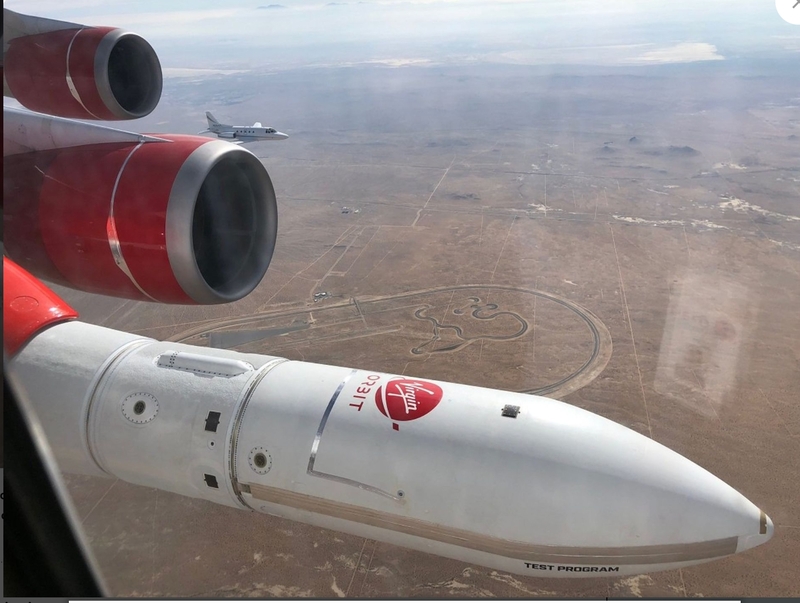 It could be the winds, or it could be because of the dual fuselage and the pilots sitting on one side. It'll be interesting to see in future flights. Was wondering if they counter weighted the other side. But the bird is so big I did think that 2 pilots would make a difference.